Workshop has steadily evolved to become one of those buy-on-sight labels over the course of the last two years. 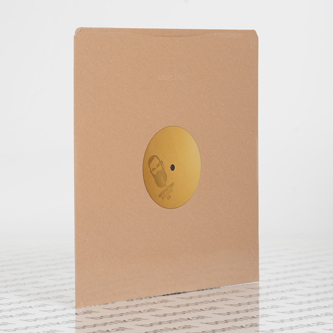 Following his tremendous Workshop 03 killer and a ruck of understated anthems for Mikrodisko, Kassem Mosse returns to the label with another beautiful blend of suspended slow-house and pedigree techno. The A-side is given to a long playing cut), lead by a sublimely smudged synthline in the style of his '578' cut and driven by rolling technohouse rhythms this could last twice as long and we'd still play it end-to-end in any club. The B-side is another game entirely though, nearly causing fisticuffs in this office over the classic 33 or 45 dilemna, and for good reason. 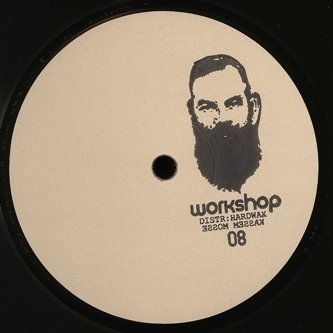 The track actually samples a large chunk of Marcel Dettmann's scary 'Lattice' from MDR04, but at 2/3rds of the speed, making for a deadly slow player at 100bpm, or a reversioned techno stomper at 45. The choice is all yours, but rest assured it sounds wicked at both tempos. Highly recommended wares from the Workshop!! !